The first in-depth look at the marine hero who has become one of the most beloved and admired men in America today: Secretary of Defense James Mattis. A devout student of history and erudite reader revered by rank and file soldiers, officers, academics, politicians, and ordinary citizens, General James Mattis is one of the most admired leaders serving America today. A man who has long used his position as a model for the soldiers he leads, Mattis in 2003 shared a "Message to All Hands" with the men and women under his command, outlining their responsibilities as soldiers of the corps. Emphasizing the importance of the mission and the goal to act with honor, Mattis ended with the motto he had adopted from another great figure, Roman general Lucius Cornelius Sulla: "Demonstrate to the world that there is ‘No Better Friend, No Worse Enemy’ than a US Marine." The first Trump presidential cabinet nominee, Mattis, retired from activity military duty for only three years at the time, received a rare Congressional waiver to hold the civilian position of Secretary of Defense, and in the hyper-partisan political atmosphere of 2017, astonishingly received nearly unanimous, bipartisan support for his nomination. After months of headline-making chaos involving the White House, Mattis remains one of the few widely revered members of the Trump administration. 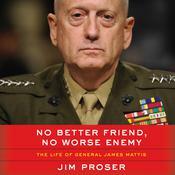 In this illuminating biography, Jim Proser looks beyond Mattis’ professional competence to focus on the driving element behind Mattis’ success: his unimpeachable character—a formidable personal integrity that fosters universal confidence. 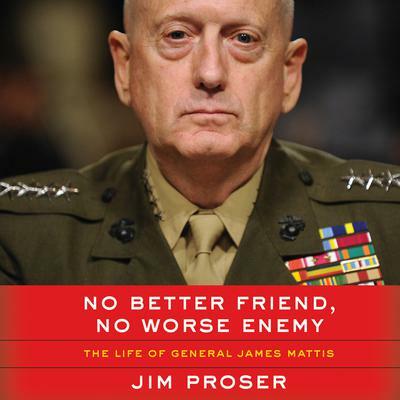 Proser carefully examines the events of Mattis’ life and career to reveal a man who leads with insight, humor, fighting courage, and fierce compassion—not only for his fellow Marines, but for the innocent victims of war. Chronicling how Mattis’ martial and personal values have elevated him to the highest levels of personal success and earned him the trust of a nation, Proser makes clear how America is stronger because of his service and his example. Jim Proser is an award-winning author and screenwriter. His book, I’m Staying with My Boys, earned the prestigious United States Marine Corps Commandant’s Recommendation in 2010.